You emerge with your cohorts out of the jungle of middle life, each possessing your own private knowledge of courage or cowardice, and do a quick headcount, an inventory of missing limbs. What happens in the wake of the event – this surprising and unanticipated arrivant, as Jacques Derrida would call it; this “unexpected, unforeseeable arrival” of something or someone whose “visitation […] is such an irruption that [one] is not prepared to receive [it or them]” (Derrida, “A Certain Impossible Possibility of Saying the Event”). Is the event’s aftermath always characterised by the experience of disorder, fragmentation and impermanence, by “the gears of life [going] into the reverse” (Cusk, Aftermath)? Or, alternatively, can aftermath be seen as a new growth, a second crop of grass that can be sown and reaped (“the second mowing”) and which gives rise to the “dark strings of creativity” (Cusk, Aftermath)? Shouldn’t the aftermath of the event also be recognised as the “advent […] of future-to-come […], of adventure, and of [new] convention” (Derrida, Psyche: Inventions of the Other)? The goal of our conference, jointly organised by the Institute of English Studies (Jagiellonian University in Kraków), the Institute of Art History (University of Warsaw) and the Region and Nation Literature Association, is to explore the notion and representation of aftermath, understood as a consequence/result/after-effect of a seminal event (to an individual, a community, society, regions and nations) whose nature is not necessarily unfortunate and disastrous but certainly transformative and life-changing. 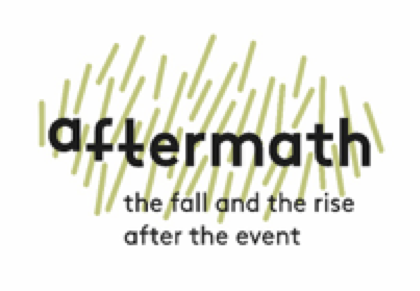 We are particularly looking forward to receiving proposals addressing the issue of aftermath’s revolutionary and subversive potential in literary fiction and non-fiction, art and various types of visual narratives. Proposals for 20-minute presentations should consist of a brief biographical note (including academic title and institutional affiliation) and a 150-word abstract. They should be sent to aftermath.conference@gmail.com by 31 May 2018. Notifications of acceptance will be sent by 15 June 2018. The conference will be held at the Institute of English Studies, Jagiellonian University, Kraków, Poland on 25–27 October 2018. Following the conference we plan to publish selected papers (between 4,000-6,000 words in length) in book form. The conference will be held during The Conrad Festival (www.conradfestival.pl) – the largest international literary event in Poland and one of the largest in Europe, which offers a great opportunity to meet world-renowned writers.